What’s it like scuba diving in Koh Tao, Thailand? We love scuba diving almost as much as we love our food. 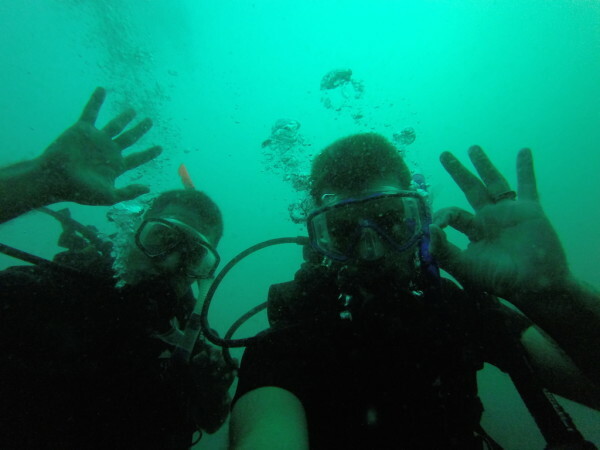 We first came to Koh Tao island in Thailand in February 2012 and got certified with our beginner's Open Water qualification and returned in February 2015 to obtain our advanced scuba diving qualification. Koh Tao is one of the 3 main islands on Thailand's east side (along with Koh Samui and Koh Pha Ngan). 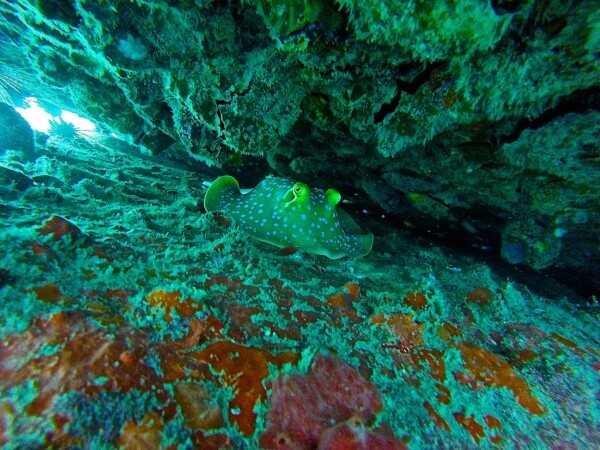 It attracts more scuba diving orientated travellers because the dive sites are not too deep and has some of the most beautiful in the world, like Chumphon Pinnacle. It also has some beautiful beaches, like Mai Sairee, to watch the sunset from. The courses offered on Koh Tao are some of the cheapest in the world. For example, in February 2012, we each paid 9,000 bahts (around £175/$283) for our Padi Open Water and on our recent visit, 7,000 bahts (around £143/$215) each for our SSI Advanced Course with Pura Vida diving school. The only regret with Koh Tao is to avoid it like the plague after a full moon. This is because in the week after the full moon parties on nearby party island Koh Phangan, all the party goers go to Koh Tao to get diving certifications and there are a lot of them! 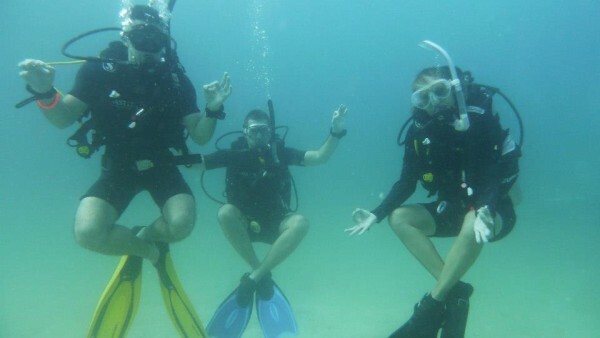 We did the PADI Open Water course, which takes around 3 days and once completed certifies you to dive to 18 metres. It is a mix of theory and practical learning with your instructor. The practical side includes learning to clear your mask and to remove your BCD jacket kit and put it back, all underwater. One of the more memorable things we took away was the “BWRAF” pneumonic used to remind you of the check to make with your buddy during your final “buddy check” before going underwater. 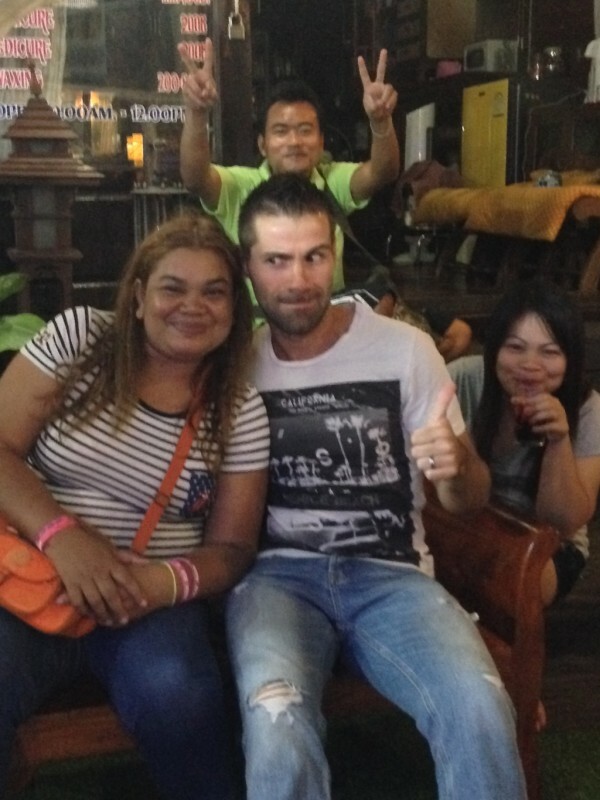 “Bruce Willis Ruins All Films” or “Bangkok Women Rarely Are Female” are well known phrases throughout Koh Tao. We made up our own pneumonic of BWRAF based on singing Divas: Beyonce, Whitney, Rihanna, Amy, Freddie. On our second visit to Koh Tao in February 2015, we shopped around quite extensively for a good diving school to complete our advanced course and were particularly impressed by Pura Vida. We immediately clicked with the staff who were really friendly and they also offered the most competitive package (without compromising on the quality of the equipment). We were also lucky and had the examiner all to ourselves (most schools guarantee no more than 4 people per instructor). The advanced course includes 5 dives over 2/3 days focusing on particular skills and techniques like orientation, buoyancy, night diving and the big one..the deep dive to 30 metres. Once completed, you are certified to dive to 30 metres. We found the deep dive the most interesting because at 30 metres, your body starts to operate differently. Our instructor tried to get us to do some basic arithmetics with his fingers, which at 30 metres was quite difficult. We were also a bit scared of doing our first night dive. But with a torch (and a good, patient instructor!) we quickly got over the fear and enjoyed the colourful night underwater wild life. PADI and SSI are two different diving associations. 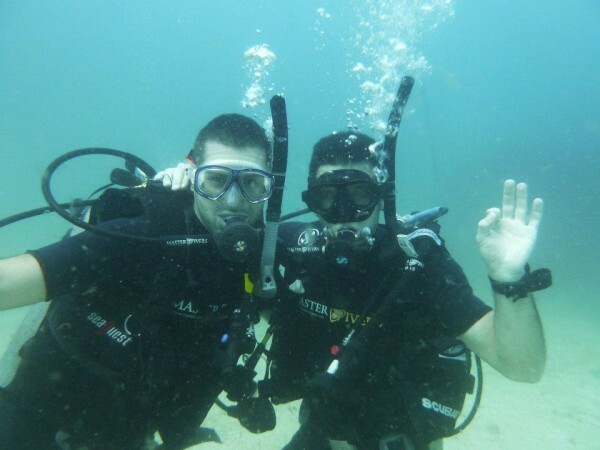 We did a PADI Open Water course and a SSI Advanced course. 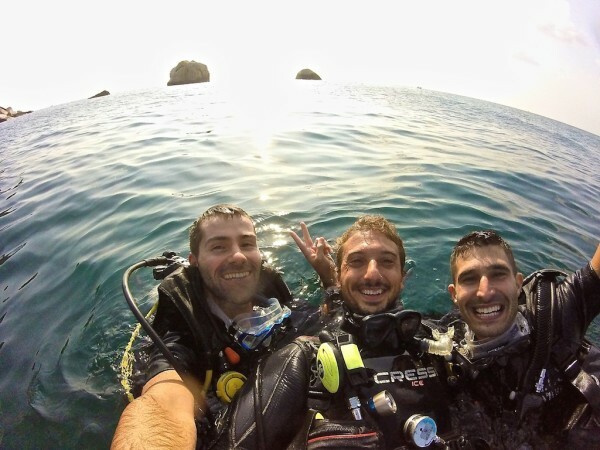 PADI are older but in terms of learning the skills needed to dive safely underwater, we found no difference between the two. The only practical difference is that PADI require you to purchase their diving manual as part of the course, which is not cheap. As long term travellers, this is just extra unnecessary weight for us to carry, so saving this cost and going with SSI was the ideal option. Koh Tao was the cheapest place we found for diving. So if looking to do a formal course like the Open Water, you're better off doing it here, which will save you a good hundred dollars. It is also better to consider SSI over PADI as they are cheaper and you will avoid having another book to carry around in your backpack. Ideally, professional scuba divers will have their own kits, including their own wet suit, mask, fins etc. But this presents a very practical problem when packing! At the very least, we learnt that the one piece of equipment worth investing in for scuba diving backpackers is the mask. The rest of the equipment can be rented. A good mask will fit your face correctly and you will grow used to it. Rental masks can be an absolute nightmare if not suited to you and can completely change the entire diving experience. We spent around £80 (around $120) each on our scuba masks before starting our travels and have found them to be an invaluable. The benefits gained from them outweighs the space they take up in our backpacks. We used them during our trip to Thoddoo Island in the Maldives, obviously lots on this trip and propose to use them more in our travels particularly in Malaysia, Indonesia and Australia. Failing that, a tip we learnt to prevent a mask fogging up (saliva is useless) is to rub a bit of shower gel on it and lightly dip it into the water to rinse. Finally it is worth investing in an underwater camera like Go Pro Hero. We bought ours in Bangkok and haven't regretted it at all. It is useful for any beach photography (avoiding getting your camera wet) and also for snorkelling.